April is upon us! This means that the first round 1 deadline is likely just over five months away. 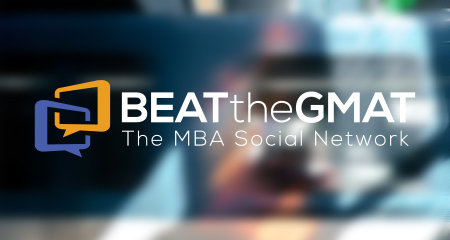 While the 2019-2020 MBA application deadlines and questions have not yet been announced (stay tuned for more details on this), last year, the first round 1 application deadline was in early September. If you are applying to Columbia Business School, they will start accepting applications within 4-6 weeks! We expect similarly timed deadlines this year. Regardless of whether you followed our MBA Kick-Start Plan, it is time to kick your MBA application efforts into high gear. 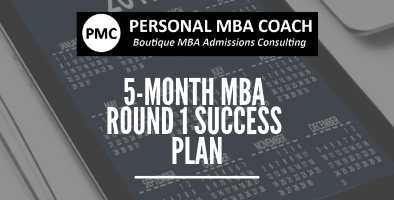 To help you make the most of your time and avoid last minute cramming (which is never great for anyone), Personal MBA Coach has put together this 5-month plan. As soon as the essay questions are released, get started on brainstorming and outlining! By starting now and following this plan, you will be able to breathe easy come September! Keep in mind that while it is great to have the full five months (or more) to prepare, we regularly work with clients who start later in the year and craft custom timelines accordingly.